Arizona State University's many laboratories are seedbeds for an astonishing variety of new ideas. But the path from basic research to real-world applications can be complex, perilous and — sometimes — bewildering. The gathering was organized by the ASU Biotechnology Advisory Board, a consortium consisting of national and international industry leaders in the biotech domain. The board’s role is to explore opportunities for students in the various biomedical fields as well as gauge the impact of biotech research across ASU. The biotechnology sector is a high stakes world, in which billions of dollars can be made or lost overnight and the landscape is littered with the bones of failed biotech ventures. Company leaders must be nimble and ready to abandon strategies that don’t work while being ever mindful of the company’s vision, goals and overall approach. The promise of stratospheric profits, coupled with dreams of making significant contributions to human health and societal betterment have driven a gold rush in biotechnology. Currently, the number of biotech IPOs is exploding and the winners have been among the best-performing in the market. So much for the good news: The fact is, the rate of failure of tech startups in general is around 75 percent according to Fast Company Magazine, and biotech startups face many challenges unique to the industry. Today, potential investors are often wary after some biotech companies received extravagant valuations only to come crashing down. While a few flame out in spectacular public manner — Theranos perhaps representing the most extreme and unsettling case — most die quieter deaths as a result of insufficient funding, errors in management or poor navigation of the enormous practical hurdles involved. Products and innovations that may carry lethal risks must undergo extravagant vetting relative to most other products entering the marketplace, creating a landscape of exceptional complexity and risk for biotech companies. Team members savvy in the byzantine world of regulatory law are often required assets for successful teams. In the biotech universe, timing is everything. Decisions that can make or break startups include when to interest larger biotech or pharma conglomerates in licensing some of your technology or buying your company outright. An unusual blend of optimism, aggressive perseverance and practicality are among the essential ingredients. When is it appropriate to tackle roadblocks and when should companies cut their losses for a promising idea that faces too many setbacks? Success requires a perfect storm of pathbreaking science, societal need, strong leadership in a variety of areas and adequacy of funding. On the other hand, the best ideas hold the potential to radically transform human health and improve the quality of life for millions of people around the world. The seminar kicked off with a discussion moderated by Professor Bert Jacobs, director of the School of Life Sciences, titled "Targeting Educational Goals to Fit Industry." Next, Professor Neal Woodbury, director of the School of Molecular Sciences, moderated a discussion on bioindustry challenges and academia’s response. Seed funding for new startups and the ins and outs of venture capital investment were explored. One challenge common to most biotech startups is presentation: how to package and offer up enough of the salient science to entice potential investors without overwhelming them with minutiae. Protection of sensitive intellectual property, especially for companies seeking to break into the vast markets in China, can also be a critical consideration. NanoPin is a company founded in 2017 by Tony Hu, a researcher in the Biodesign Virginia G. Piper Center for Personalized Diagnostics. Their proprietary technology, described by NanoPin CEO Thomas Tombler, uses a nanoparticle-based platform, coupled with high-throughput mass spectroscopy to detect and quantitate disease biomarkers in patient blood samples. Specifically, Nanopin addresses the urgent need for more accurate, cost-effective diagnostic tools for tuberculosis, a deadly disease estimated to affect some 10 million people worldwide and cause 1.7 million annual deaths. TB can be difficult to diagnose using conventional methods, particularly in children and “paucibacillary” cases in which the abundance of mycobacterium — causative agent of the disease — is very low. Speed is also a critical component. The current gold standard diagnostic can take six to eight weeks to yield a final result, as opposed to NanoPin’s rapid diagnostic. The versatile platform holds the promise for rapid diagnosis of a range of diseases. 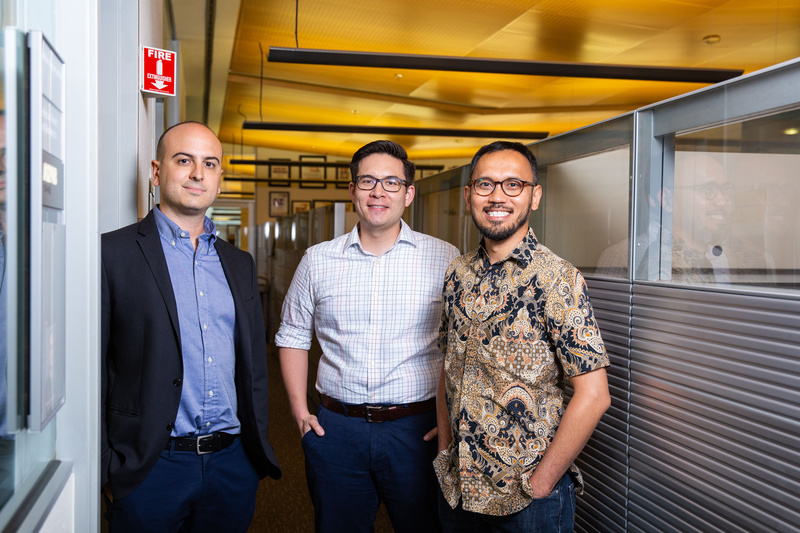 NanoPin recently received $2 million in seed funding to develop this diagnostic and monitoring platform for tuberculosis management. Improved cancer treatment and prevention are the focus of Stephen Albert Johnston’s startup company Calviri. Johnston is the director for the Center for Innovations in Medicine and a professor in the School of Life Sciences. The company presentation, delivered by Douglas Thamm, director of clinical programs, described the use of peptide array technology to screen for cancer. Existing methods for analyzing tumor diversity in sequence data can take months. Further, the radical heterogeneity of many mutations found in cancerous tumors require time-consuming and exorbitant personalized therapies or vaccine designs. 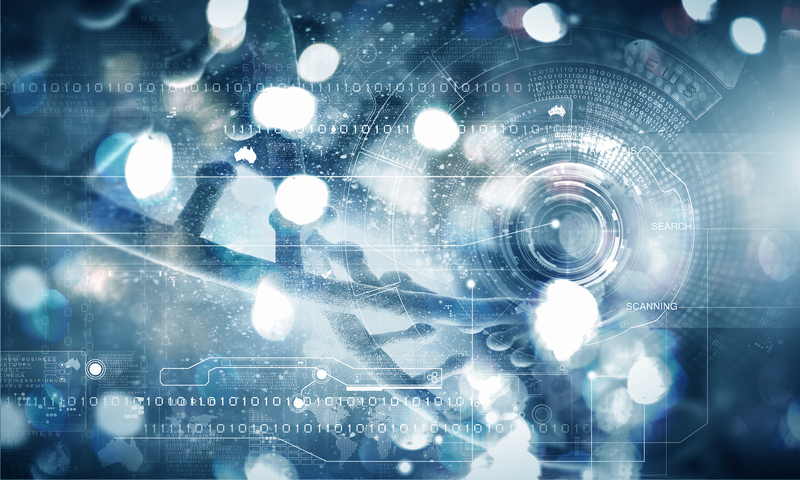 Calviri’s technology focuses on net-antigens, mutations that may be common to a broader range of cancer cases than the so-called neo-antigens that have been studied by the cancer community. By contrast, net-antigens are reduced through transcription and RNA splicing, producing highly immunogenic errors. Use of such net-antigens could enable faster, simpler, and less expensive methods for the production of personal cancer vaccines and perhaps one day, even a generally used cancer vaccine. ASU was awarded $6.4M multiyear grant from the Open Philanthropy Project to test preventive cancer vaccine for dogs. Grant McFadden, director of the Biodesign Center for Immunotherapy, Vaccines and Virotherapy, presented details of his company OncoMyx Therapeutics. The spinout has leveraged McFadden’s research in virology to develop technologies targeting hematologic and solid tumors with a unique oncolytic virus called myxoma (MYXV) and a novel patented systemic delivery approach. Myxoma is a standout in the viral world, a pathogen found exclusively in rabbits, where its presence is rapidly lethal. The company, however, is interested in another property of myxoma: its effectiveness as an oncolytic or anticancer agent in humans. Myxoma, a member of the pox virus family, is highly immunostimulatory, and is nonpathogenic in any organism outside of rabbits. The virus has a unique ability to be carried systemically by human leukocytes where it can then infect tumor cells. OncoMyx will spearhead the next-stage development plans of oncolytic myxoma virus to seek FDA approval and conduct the first human clinical trials, using their patented systemic delivery approach. The company will capitalize on McFadden’s two decades of research into the potential of oncolytic viruses. Professor McFadden sequenced the myxoma virus genome in 1999 and since then has produced dozens of genetically engineered constructs, demonstrating its ability as an oncolytic agent across many tumors in preclinical cell and animal models. FlexBioTech, Inc is another cancer-focused biotech startup co-founded by CEO and physician scientist Karen Anderson, a researcher in the Biodesign Virginia G. Piper Center for Personalized Diagnostics. In addition to her role as a translational cancer researcher at Biodesign, Anderson holds a joint appointment as a breast cancer medical oncologist at Mayo Clinic Arizona and professor in the School of Life Sciences, focused on tumor immunology, vaccine development and biomarker development. She has developed clinical immune biomarkers for clinical use (Videssa Breast, Provista Diagnostics) and in clinical trials (HPV biomarkers, used in the HOUSTON trial at MD Anderson Cancer Center), and point of care diagnostics (in development for cervical cancer detection in India). FlexBioTech focuses on point-of-care biomarker detection. The technology permits rapid, low-cost home biomarker detection on a mobile platform that transmits results to hospitals and physicians. Joseph Blattman is an immunologist who studies how the immune system responds to vaccination and viral infection. He is a researcher in the Biodesign Center for Immunotherapy, Vaccines and Virotherapy. Blattman’s company, Gemneo Bioscience, is the 100th spinout company formed at ASU. Gemneo’s mission is to provide physicians with more optimal cancer treatments and groundbreaking immunotherapies to help improve cancer outcomes. The company is developing innovative molecular-based single-cell genomics technology that does not require cell sorting, which will greatly accelerate the speed and decrease the costs of analyzing the genomic heterogeneity of cancer and immune tissues, microbiomes, and beyond. Gemneo’s mission is to rapidly put their technology in the hands of academic and pharma industry researchers, to advance the frontiers of precision medicine, reduce costs and improve patient outcomes. The research on DNA origami nanoprobes for single-cell multi-gene analysis and single-cell analysis of tumor heterogeneity was funded by NIH grants and is an excellent example of federally-funded research leading to advances in science and medicine. Gemneo’s platform technology can be used to profile cancer genomics and identify rare cells that influence disease progression that current technologies are not able to detect. The burgeoning field of aging research has given rise to Wayne Frasch’s startup biotech company, Attometrics, which has developed technologies for evaluating telomere length. Telomeres — structures adorning the ends of chromosomes, have been implicated in not only the aging process but as signposts of disease. Certain cancer cells, for example, display unusually long telomeres believed to be linked with these cells’ status as immortal entities engaged in unchecked replication, the hallmark of cancer. Telomeres, therefore, may provide an intriguing and powerful new means of cancer diagnosis. Attometrics technology can quickly and accurately compute the length of telomeres at the ends of human chromosomes. Due to the strong correlation between telomere length and many age-related diseases and cancers, there has been an urgent need to develop a reproducible telomere length assay. Frasch, a researcher at the School of Life Sciences, is a pioneer in single-molecule nanotechnology, using this knowledge to create molecular motor-powered nanodevices that serve as a platform technology capable of quickly detecting target biomarkers for disease that are present in extremely low amounts. All of the participants received lively feedback from business experts during seminar discussions, helping to bring their visions to life and improve the chances for company success in a demanding but uniquely rewarding business landscape. “No. 1 in innovation” is an accolade Arizona State University proclaims proudly in all realms of university life. Today, ASU proved once again that it is deserving of such a title. The award belongs to the NIH Common Fund’s High-Risk, High-Reward research program — a platform aimed at recognizing exceptional scientists with strategies that tackle biomedical conundrums. The New Innovator Award specifically “supports exceptionally creative early career investigators who propose innovative, high-impact projects,” targeting investigators within 10 years of completing their doctoral degree or postdoctoral training. Stephanopoulos and Hariadi's awards are among the 58 given to investigators nationwide this year; each recipient receives a $2.3 million grant for a five-year project. These aren't ASU’s first New Innovator recipients. In 2017, Alex Green, also a researcher at the Center for Molecular Design and Biomimetics, received the award for his project aimed at expanding on RNA nanotechnology research. “We are really proud that three of the four recipients (at ASU) are in Biodesign and at this center. It’s a huge honor,” Yan added. According to Stephanopoulos, the award is NIH’s way of demonstrating support for ideas that might be considered “totally new and kind of crazy. The NIH is saying, 'We’re going to take a gamble on you to pioneer in this new area.'" Stephanopoulos’s lab focuses on peptide DNA nanotechnology, utilizing chemical techniques to build new hybrid nanomaterials while maintaining the programmability and structural control of the proteins. The specific project he proposed to the NIH focused on increasing the lengths of synthetic proteins that can be made for applications in biomedicine. “Basically, when you make proteins now, you have to make them in cells, which can be difficult for some proteins, and then you’re stuck with the natural amino acids," he said. "People have been trying to make proteins from synthetic peptides, and there is a reaction called native chemical ligation that links these peptides together. The problem is that only works up to a certain length. “What I proposed was to make these peptides with two DNA handles on the ends. Each peptide ligation could be enhanced with DNA bringing those peptides together, carrying out the reaction, and then removing those DNA handles. You still have a DNA handle at the growing end of the protein, so you can link two peptides, chop off the DNA, and do this over and over again. In theory, you can get much longer proteins this way,” Stephanopoulos said. Hypothetically, this technique could be used to synthesize membrane proteins, such as G-protein coupled receptors, which are integral to the initiation of signaling pathways in a cell and have been particularly challenging to study in detail. “One of the big applications would be making completely synthetic proteins from synthetic amino acids. You can stabilize them, make better catalysts, integrate them into materials. Specifically, for this project, I proposed making membrane proteins called GPCRs, which are hard to make in cells and are very important in a number of biological areas. If you can make them synthetically, you can carry out modifications that enable structural biology on them,” Stephanopoulos said. Stephanopoulos completed his undergraduate degree at Harvard University and attended University of California, Berkeley for his PhD in chemistry. He originally intended to complete his MD–PhD, but later changed his tune when he realized that he preferred research. While in graduate school, he developed a keen interest in merging DNA nanotechnology with protein design, so he contacted Paul Rothemund, the inventor of DNA origami, who referred him to Yan. About five years after his first collaboration with Yan on a project, he was offered a position at the Biodesign Institute and has since been there for three years. To Stephanopoulos, this award is not only a payoff for hard work and innovative ideas, but it also represents an important component to science: fun. Neal Woodbury, the director and professor for the School of Molecular Sciences, believes the relevance of Stephanopoulos’s research makes him worthy of such an award. Rizal Hariadi’s lab focuses on biomolecular interactions under different mechanical forces and uses techniques involving mathematics, protein engineering, single-molecule biophysics and DNA nanotechnology. His proposal for the NIH addresses the functionality of a biomolecular system when force is applied, specifically in the context of malaria parasite invasion. “Malaria, as we know, claims half a million lives every year. It is equivalent to one malaria death every minute, and it affects half of the world population. The cost is $12 billion in terms of economic burden, so it’s a big problem,” Hariadi said. What’s unique about Hariadi’s approach is that he is using “DNA as a biophysical tool, not an information carrier.” DNA origami will be used to arrange the proteins associated with this host invasion and apply tension. By studying the biomechanical forces and their effect on the system, molecules can eventually be screened for their ability to disrupt the malaria parasite invasion, thus translating into drug screening methods to treat malaria. “It is high risk because the jump from building DNA nanostructures to adding proteins to the structures is actually not a challenge that many labs would like to pursue,” Hariadi added. Hariadi initially garnered an interest for science while participating on the Indonesian Physics Olympiad Team. After establishing his love for science, he went on to complete his undergraduate degree at Washington State University. His plan was to pursue genetics, but because he missed the math and level of rigor of physics, he decided to shift his focus to physics and biochemistry. At Caltech, where he completed his PhD, he worked with DNA nanotechnology. He went on to complete his postdoc at the University of Michigan and Harvard Medical School, where he studied actin and myosin interactions and super-resolution microscopy. Hariadi knew that he wanted to work at a university that emphasized an interdisciplinary approach, so he found an NSF publication that listed such highly interdisciplinary institutes. Because the Biodesign Institute and ASU were on the list, he applied and was accepted as an investigator and has been researching there for two years. To receive such an award as a young researcher is validation both for the university and the researcher. “This is definitely the highlight of my career — I feel very honored I will get the support to pursue a big problem with a non-traditional approach. It is good to know that NIH acknowledged that ASU is a good, up-and-coming research university, which will help in attracting more talent to ASU,” Hariadi added. Hariadi also noted that this recognition provides exposure to one of ASU’s biggest goals as a university: inclusion. “ASU is truly an amazing place. At ASU right now, I am writing a paper with a father of five. I come across first-generation immigrants and students who are the first in their family to go to college. The fact that we are so open and inclusive — it doesn’t mean we cannot do elite research. These awards show that NIH acknowledges our strength in research,” Hariadi said. Yan believes that these awards are a testament to ASU’s research vision, one that’s characterized by an interdisciplinary focus. “ASU has become a very notable, highly-recognized research university, working on interdisciplinary research, solving problems that will be useful for society. Because we have this concept of interdisciplinary research, over the last 10 years we have been able to recruit talents like Rizal, Nick and Alex — we have provided the environment to nurture them,” Yan said.